The perfect way for your kids to get their thrills. Easy to ride and packed with great safety features, KYMCO Maxxer 50 is the perfect way for your kids to get their thrills. The 49cc two-stroke engine delivers smooth power while the fully automatic continuously variable transmission (CVT) makes riding simple. Great safety features like keyed electric start, a throttle stop and ignition cut-off lanyard will help you keep the fun in check. 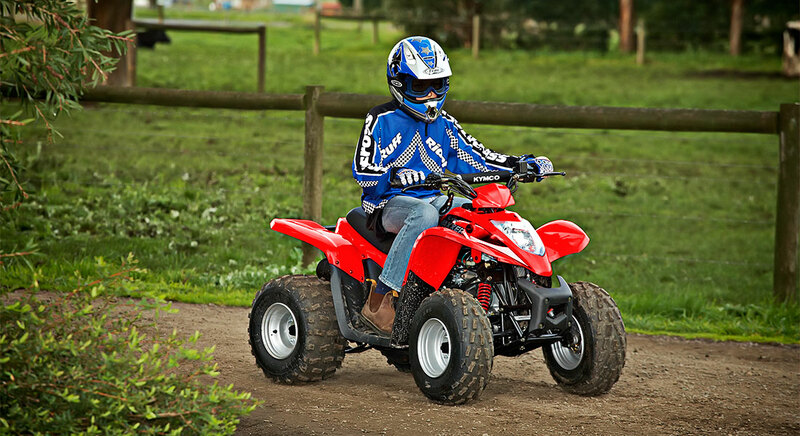 Simple and safe, KYMCO Maxxer 50 is the choice for those learning to ride.